Who doesn’t love New England Fall cooking? Apples, cranberries, cloves…and MAPLE SYRUP! This time of year everything has maple syrup in it…and that is not a bad thing! So, when I received a sample of Vermont Creamery’s Sea Salt & Maple Cultured Butter, I could not have been more excited! (I also received a sample of the Vanilla Crème Fraîche which I made a ridiculous ganache with, but that is a story for another time.) The first step in figuring out what to make with the butter was to not eat it out of the package, which may have been the hardest part of the dinner! This stuff is good. Besides being a ridiculous high quality, creamy, delicious butter it has sea salt…and maple syrup! For some reason, I had it in my head I was going to make polenta. I have never made polenta, and I am not even sure I had eaten it before today, but by gosh I was going to make it…with maple syrup! I was also determined to take it one step further and make them into polenta fries…because to be honest, the thought of the texture of polenta does not appeal to me all that much. I also found this recipe on Pinterest, which spurred the idea for the chicken with the addition of , you guessed it…maple syrup! This is definitely a dinner I will repeat. 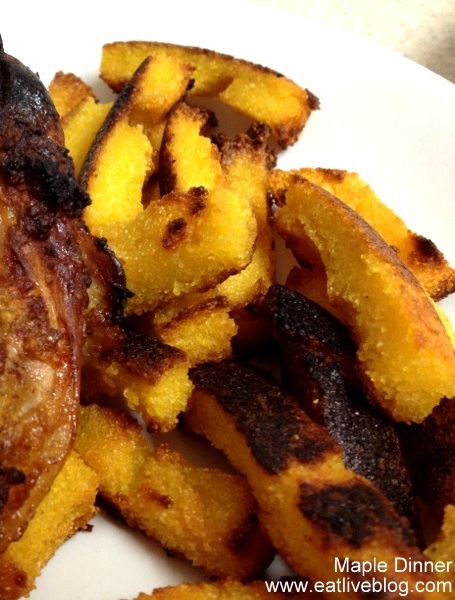 The chicken was juicy and flavorful, and the polenta fries with crispy and salty sweet. Are you following me on Pinterest yet? What is your favorite Fall ingredient? 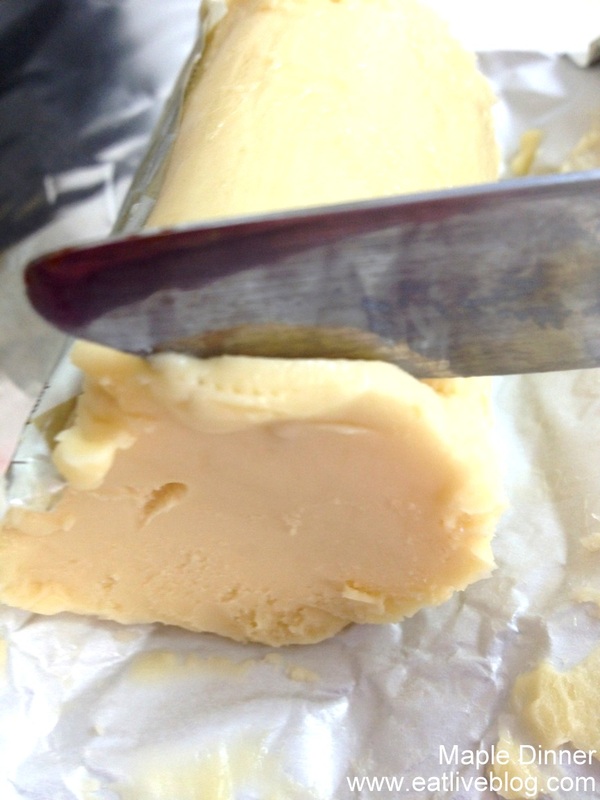 Disclaimer: I received samples of Vermont Creamery products to review. As always, all opinions are my own. Click here to for a list of locations that sell these delicious dairy products. 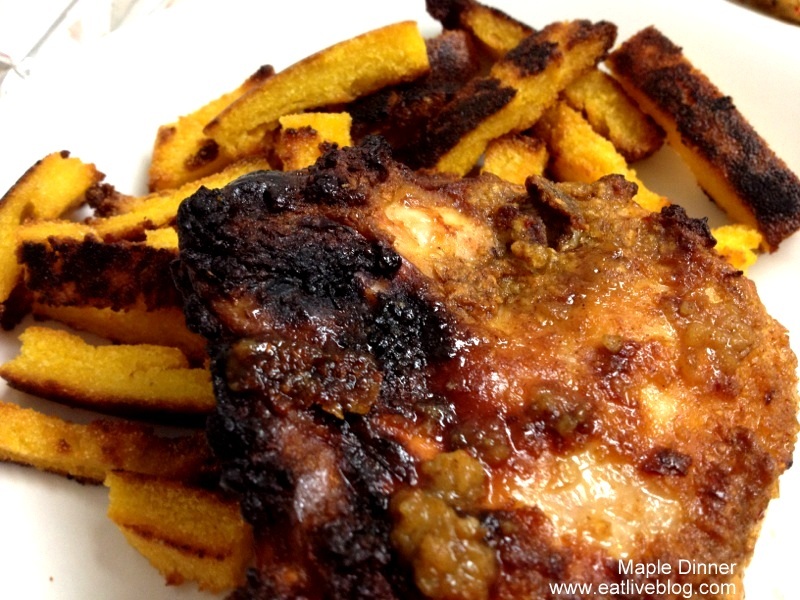 This entry was posted in Recipes and tagged chicken, dinner, main course, maple syrup, recipe, side dish, vermont Creamery by reneeh. Bookmark the permalink. I’m obsessed with that butter! I’ve used it in a couple dishes now and I’ve also just been slathering it on toast and French toast. So good! Oh man, those polenta fries sound fantastic – and perfect for the season!